No one can get you to step back in time and stroll through a radiant, flower-filled garden quite like The Painter of Light™. 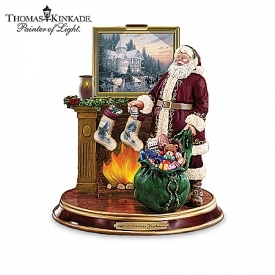 But it's easy to celebrate beautiful gardens everywhere with this charming Thomas Kinkade angel figurine, a limited edition exclusively from The Hamilton Collection.Exquisitely handcrafted in artist's resin and meticulously hand-painted, this figurine features a divine angel holding a mirror-like gazing ball that showcases the tranquil reflection of Thom's beloved "The Garden of Prayer," giving you a new unique way to enjoy Thomas Kinkade art. 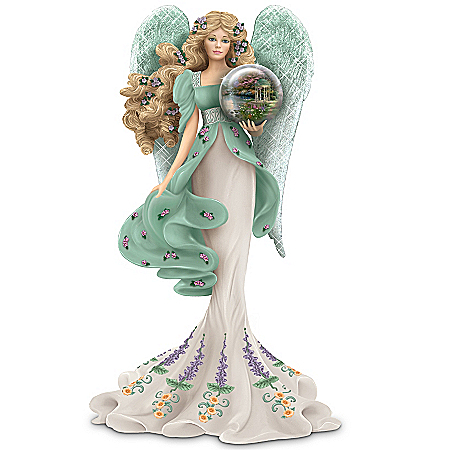 This lovely angel's splendid wings are accented with sparkling iridescent glitter while her flowing gown is decorated with a bas-relief floral pattern. 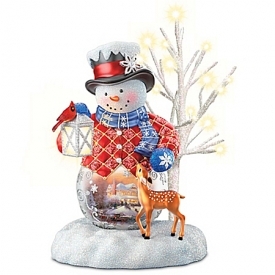 The angel's peaceful expression adds the perfect finishing touch. Strong demand is expected for this inspirational figurine. Order now!